Voice cast plays the upcoming PlayStation visual novel / strategy RPG. Aquaplus has released the first in a series of Utawarerumono: False Mask videos featuring the voice cast playing the game. 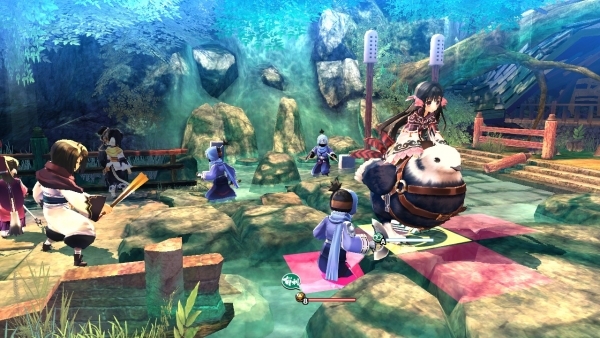 In the first video, Risa Taneda (who plays Kuon), Inori Minase (Nekone), and Kentaro Tone (Ukon) play through about 22 minutes of the PlayStation 4 version. Utawarerumono: False Mask is a visual novel and strategy RPG hybrid. It’s due out for PlayStation 4, PlayStation 3, and PS Vita in Japan on September 24.